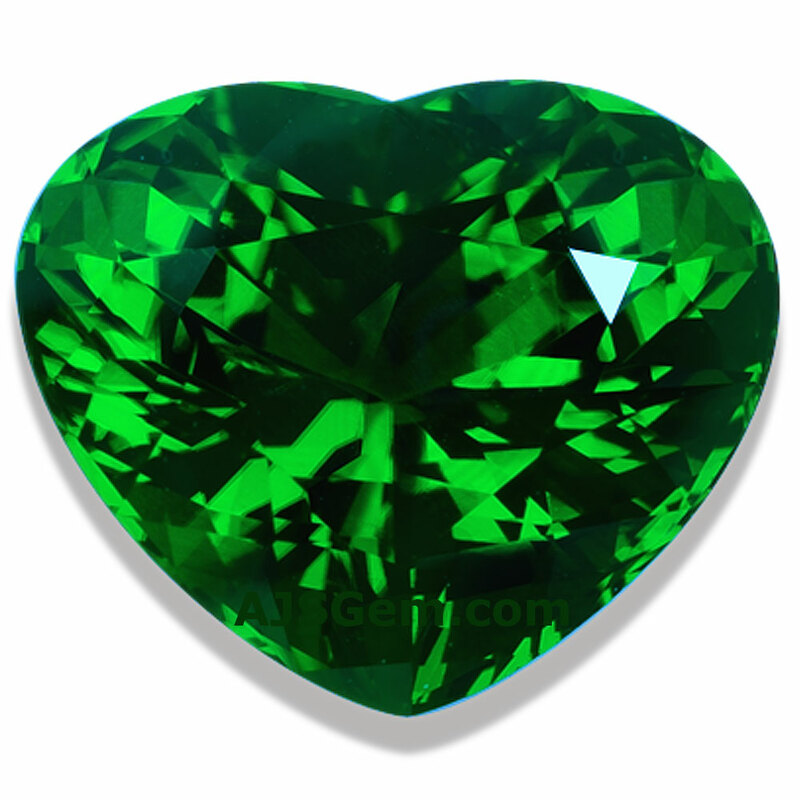 Historically, the rarest and most valuable green gemstone has been emerald. 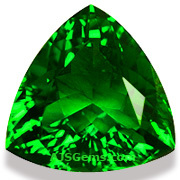 But emerald's preeminence has recently been challenged by tsavorite garnet, an even rarer gem from East Africa. Like emerald, tsavorite is colored by traces of chromium and vanadium. But where emerald is nearly always treated with oils or resins to fill surface-reaching fractures, tsavorite is always untreated. 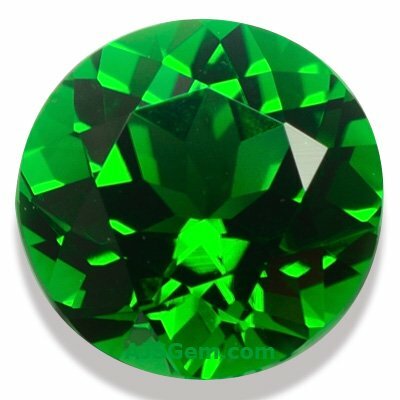 Though tsavorite is much rarer than emerald, there is an even rarer gem from East Africa with many similarities to tsavorite -- chrome tourmaline. Both gems are found in the same locations in Tanzania and display a similar richly saturated green. Chrome tourmalines were first found in two mines in Tanzania in the 1970's. Though green is one of the most typical colors of tourmaline, chrome tourmaline is distinguished from common green tourmaline by its vibrant color and chromium content. The presence of chromium is easy to detect using a dichromatic optical filter known as a Chelsea color filter. 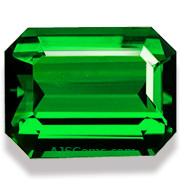 Chromium-bearing stones such as emerald, tsavorite garnet and chrome tourmaline will appear red under the Chelsea filter, while ordinary green tourmaline, colored by traces of iron, will appear green. The color of chrome tourmaline is so intense that high quality stones are generally found only in smaller sizes. Chrome tourmalines over 2 carats tend to be dark and overcolored, and larger specimens with a brighter color, such as those shown above, are rare and valuable. Like tsavorite, fine chrome tourmaline tends to a pure forest green with slightly yellowish to bluish secondary hues. Due to its rarity, chrome tourmaline is substantially more expensive than ordinary green tourmaline, though not nearly as expensive as tsavorite garnet which is very rare over 2 carats. Like rubellite and paraiba, chrome tourmaline is highly sought after by tourmaline collectors.